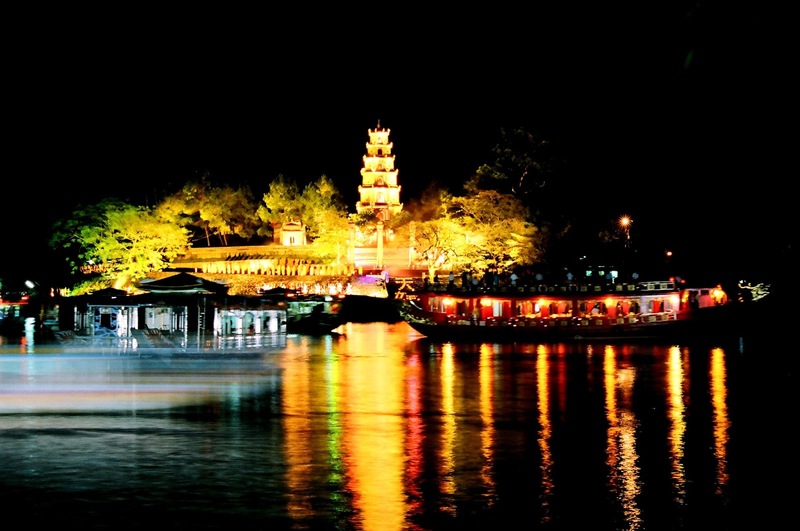 A journey to Hue will not be complete if without a cruise on the Huong River. 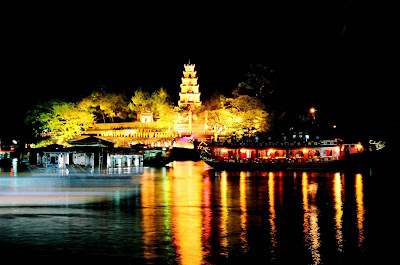 With two options of different styles of cruise that cater to all tastes, this idea of things to do in Hue is very interesting for most tourists. You could not walk along the bank of Huong River without paying attention to the dragon boats that putter past. 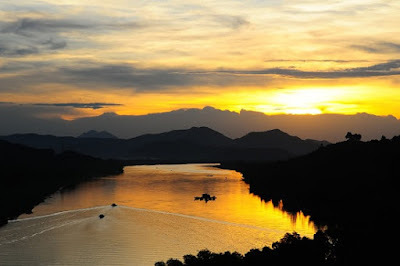 The morning route could be hopping onto a small yet long dragon boat to start your sightseeing. 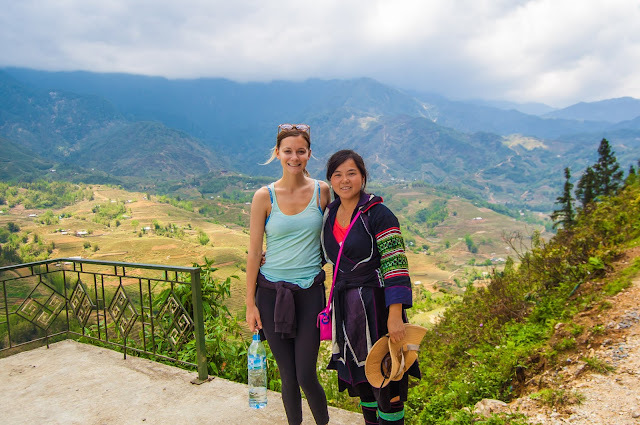 In this route, Thien Mu (Thiên Mụ) pagoda is the first stop (taking about 25 minutes to reach), Minh Mang (Minh Mạng) mausoleum is the next (taking about 1 hour to reach). Along the way meandering up the river, you can see many fantastic views. Just simply rest back in the seat and feel the cool breeze blowing along the boat’s side. Another romantic idea is to enjoy a relaxing tradition large dragon boat cruise whilst comfortably sipping champagne in the late afternoon. 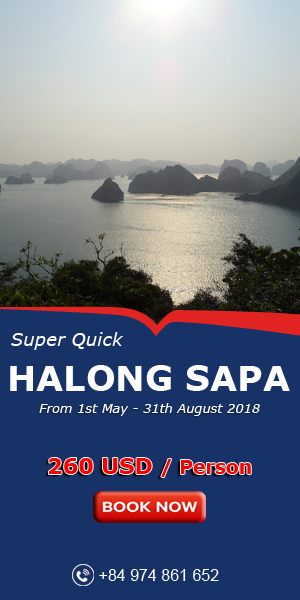 From the harbor, you head towards the pagoda before turning around to have a cruise down the river under both the Phu Xuan (Phú Xuân) and Truong Tien Bridges. Before coming back to your hotel, you can still immerse yourself in a traditional custom of locals: lighting and releasing the candlelit lantern. 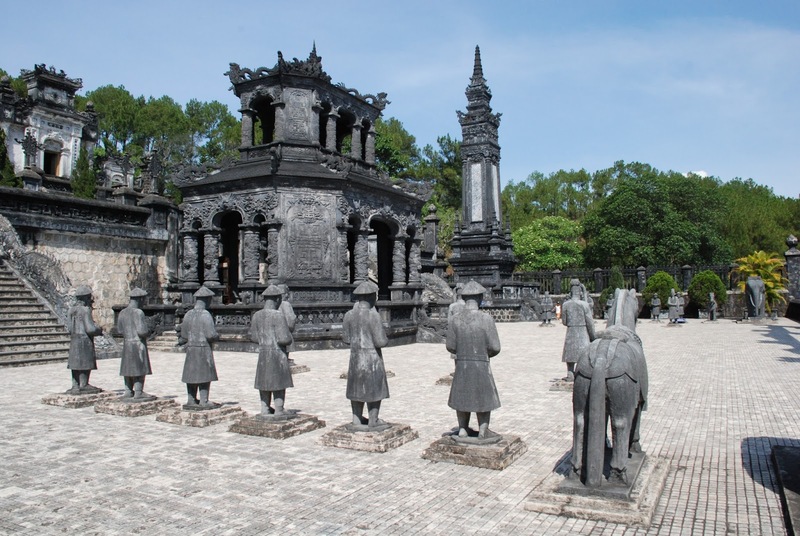 The Nguyen Dynasty’s seven imperial tombs in Hue are scattered along Huong River to the west of the city. 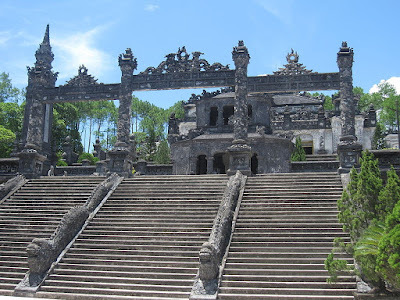 Most of these tombs are a complex of temples, pavilions, stele houses, and mausoleums. Although the tomb of the Nguyen Dynasty’s first emperor, Gia Long, is 15km south of the city, it is the most captivating historical site due to its unique integration of nature and architecture. For something a little closer, the imperial tomb of Emperor Minh Mang rests amongst a lake of lotus flowers and is a reflection of noteworthy Chinese architectural designs in its monuments, statues and gardens. Shoppers enjoy a tasty snack at Dong Ba Market. Much of the Dong Ba Market caters to locals, which is what makes it a food-lover’s paradise. At the heart of this emporium, there’s a mixture of goods sold — from hardware items to fabrics, clothes, jewelry and more. And the same goes for food! Their bun bo (Hue beef noodles) and che (a local dessert) are just a few of the local favorites. 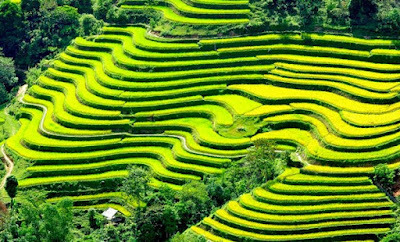 Cyclos is one of the interesting features of cities in Vietnam. Cyclos are abundant in Hue city and a ride in a cyclo is a chance for tourists to really experience how life was back before emergence of the modern vehicle. Just simply sit back and enjoy a relaxing trip through the quiet streets of the citadel and around the walls of the Imperial city. 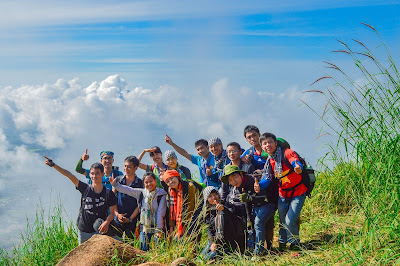 Vong Canh Hill attracts young locals for picnics among the pine trees. Vong Canh, which means “view watching” in Vietnamese, offers a picturesque panorama of the Huong River. What’s not to love about a sampan on the water at sunset. 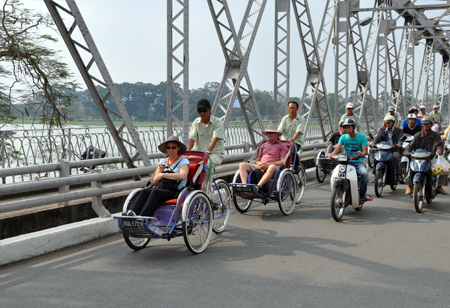 Hue’s quiet countryside and historical monuments make for a scenic cycling trip through canals and rice paddies all the way to the Thanh Toan Bridge. 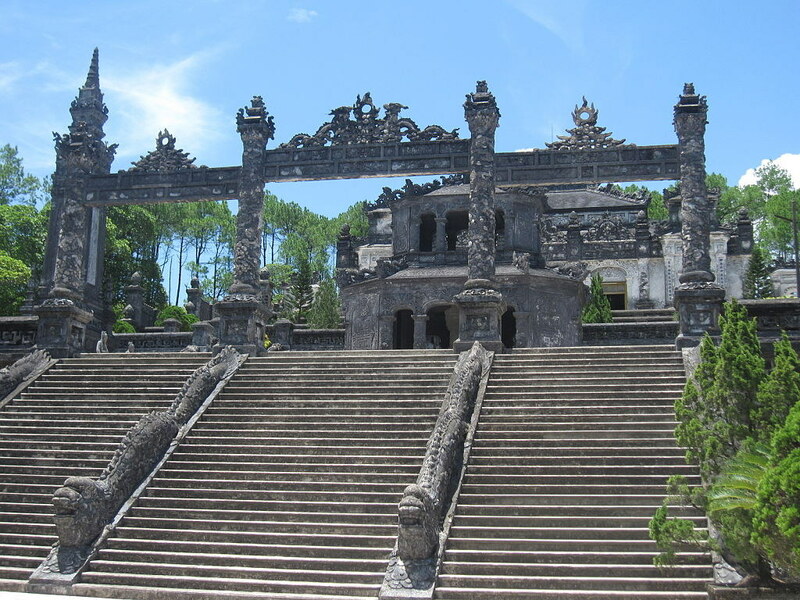 About 7km east of Hue, this tile-roofed bridge was built in the 18th century and is known for its Japanese-style design.